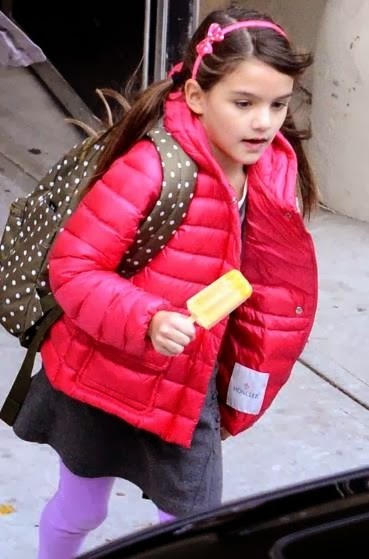 Suri Cruise and her friend enjoyed their after school ice-scream on Friday, November 22nd, 2013. The duo was seen leaving their school with Suri's grandma. 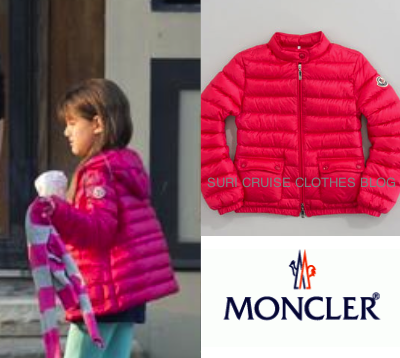 She is wearing Lauriane jacket ($162) by Moncler (she first wore on August 27th, 2013), the Green Settlement Backpack (available in other colors) by Herschel Supply Co (she first wore on November 18th, 2013) andKids Steeple Glitz CYG (Silver/White) by Puma (she first wore on November 20th, 2013).